A net top with an amazing burned-out pattern. Escaped from the 90s in a flawless condition. It's an oversized cut, so it fits more sizes. 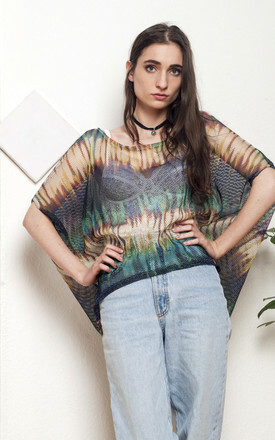 Our model, Lenke is 164 cm / 5' 3" tall and she's a size XS. width (seam to seam): 82 cm / 2' 7"